Retroreflective glass beads enhance nighttime visibility of pavement markings, even on the darkest roads. Work well with both traffic paint and thermoplastic on roadways, parking lots, thoroughfares, loading docks and airport runways. Variable sizes and specific state spec Thermoplastic Road Marking Reflective Glass Beads are available, contact us for more information. 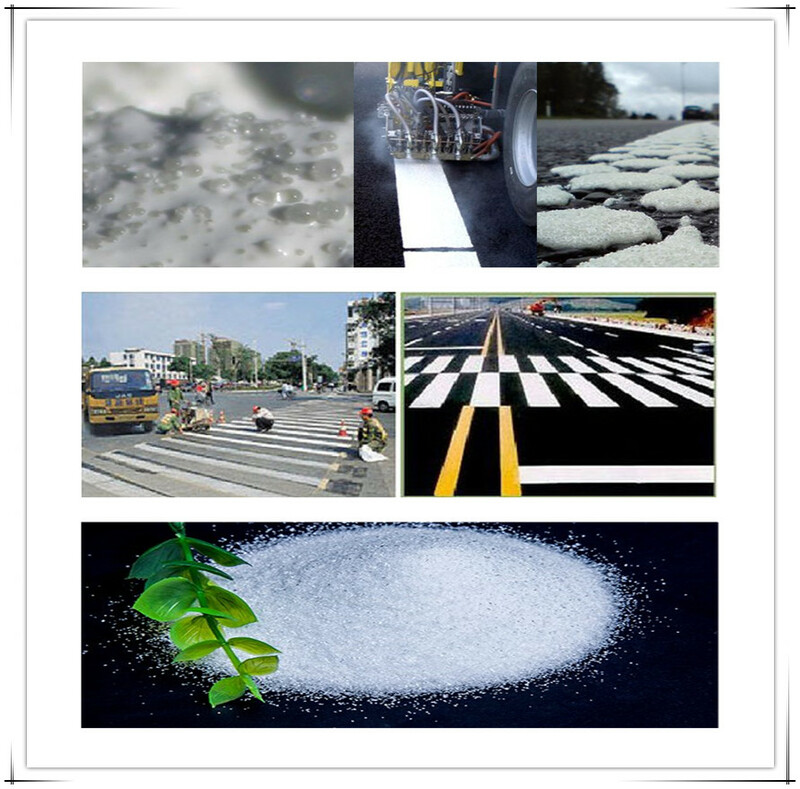 Solid glass beads for use with road marking compounds, Class Drop-on Glass Beads/ Road Marking Drop-on Glass Beads and Class Intermix Glass Beads/ Traffic Sign Intermix Glass Beads are high quality glass microspheres resulting from the specialised processing of selected glass culet. The microspheres not only multiply the visibility of the markings at night, but also increase the markings durability in general. Road Marking Reflective Glass Beads, Traffic Paint Reflective Glass Micro beads are used as a drop agent and as premix beads for road marking materials. Increase visibility of road markings at night High durability Other sizes can be available according to your requirements of these Thermoplastic Paint glass beads. Looking for ideal Pathmark Traffic Products Manufacturer & supplier ? We have a wide selection at great prices to help you get creative. All the Roadway Glass Beads are quality guaranteed. We are China Origin Factory of Glass Beads for Reflectorized Paint. If you have any question, please feel free to contact us.